To export payments from Operate to Quickbooks Desktop Pro, please first make sure that you have configured both applications for the export, then follow the steps below. This will give you the balances prior to the export. Email this to yourself and keep for post export reconciliation. 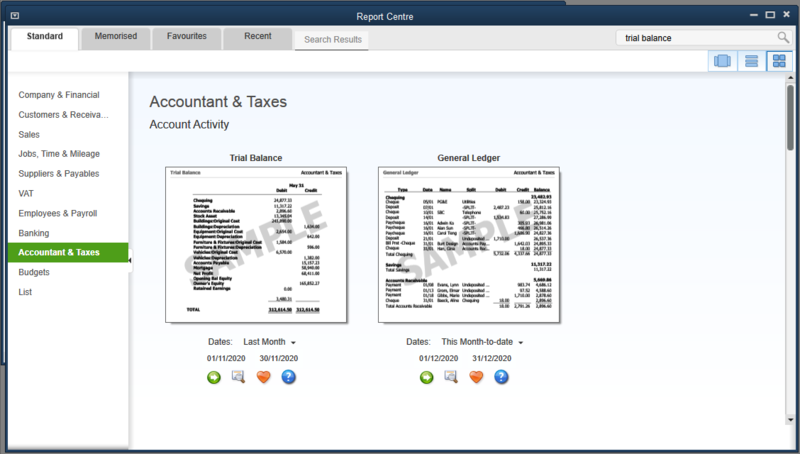 In Quickbooks go to the Report Centre > Accountant & Taxes and click on the Trial Balance report. Prior to any export, you should always back up your Quickbooks database (in the event that the export might fail or an error determines the need to restore your data from the backup Go to File and Create a Backup. In Operate, check that all accounts have Accounts IDs and all GL codes have been entered. Go to Operate and make sure that all of your Accounts have an account ID. Go to Member > Accounts. Check the Accounts Id column to make sure that all clients have an ID. Go to Space > Products and make sure that all of your products have a GL code, by checking the corresponding column. NOTE: If you do not see the Account id / GL code columns, you can add them in byediting the list view. Go to Reports and filter for the Cash and Journals report, then run it. All Unbooked transactions will be included in the export. Keep the report as reference for reconciliation post export.